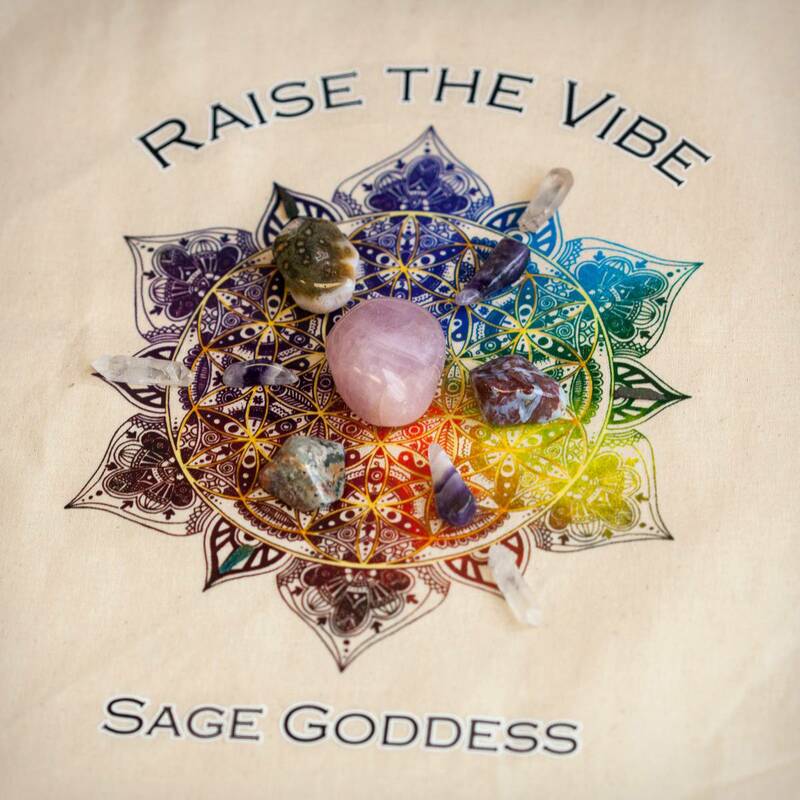 This Goddess on the Go Travel Bag and Crystal Grid was created for the busy, bustling and beautiful beings who stay on their toes running to and fro, helping the world become a better place! I see you, goddesses – and I know firsthand the frenzy we can find ourselves in when our energy is spread amongst our families, friends, and careers. This bag is for you, solely for you, to aid you as you take a minute to pull out some sacred tools and play! We have so many goodies inside this beautiful bag, all of which I know you will enjoy! Carry this fully loaded travel bag with you on your next business trip, beach excursion, or vacation! Wherever you go, know that you will be equipped to travel in style, with powerful magical tools to keep you anchored, present, and open to the moment! One (1) printed tote bag. This cute and multi-purpose bag is perfect for the goddesses who stay on the go! Use this bag to store your crystals and tools as you go throughout your day-to-day affairs. 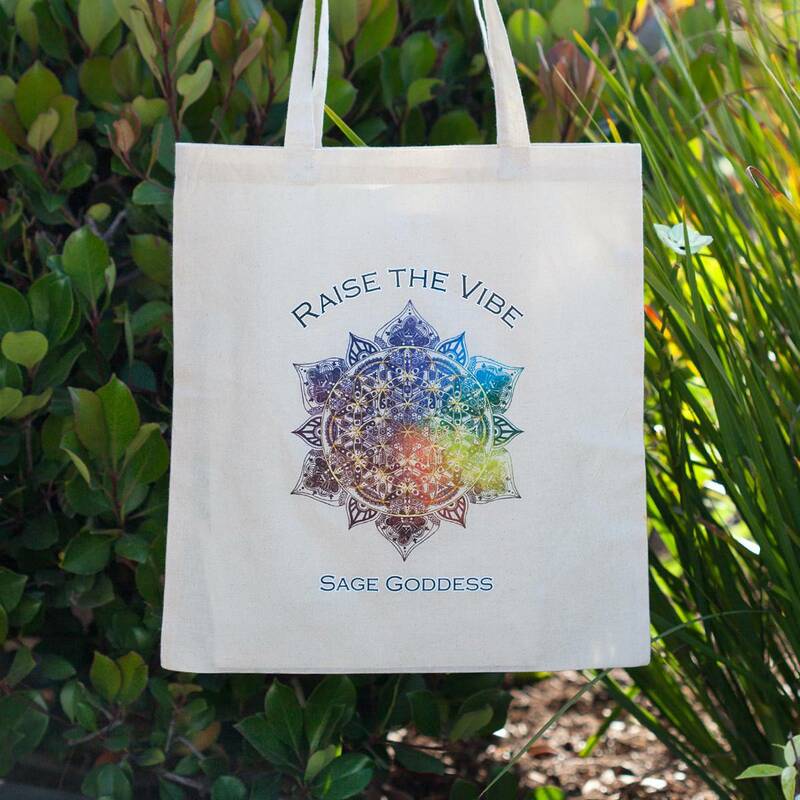 This bag is printed with our custom and in-house designed mandala featuring the phrase “Raise the Vibe” printed on it. You can lay your bag down and use the design as a grid for your crystals! It is stamped with our signature, Sage Goddess, at the bottom — a perfect gift for you or another goddess you know who stays on the move. One (1) 4 oz. 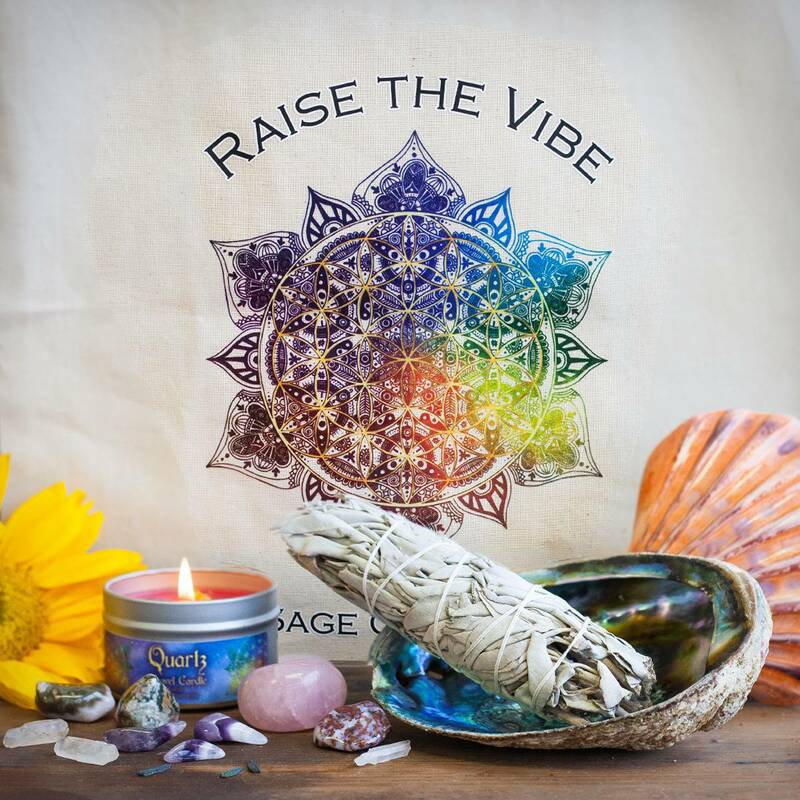 Raise the Vibe Travel Candle. This candle will keep your vibration at a healthy frequency. A fusion of ivy, cistus, two types of artemisia, and cedar, this blend is simultaneously rich and fresh. Infused with my Quartz Oil blend, and adorned with a clear quartz chip stone, this candle was made to amplify your intentions. Light this candle to help manifest the power of your energy. One (1) white sage smudge bundle, about 4” in size. Since ancient times, people have burned sacred herbs like sage in order to clear and consecrate their sacred spaces. The smoke of ceremonial white sage is said to draw in positive spirits and discourage the presence of any unwanted energy. Most people find its scent grounding and centering. One (1) smudge shell, about 5” in size. 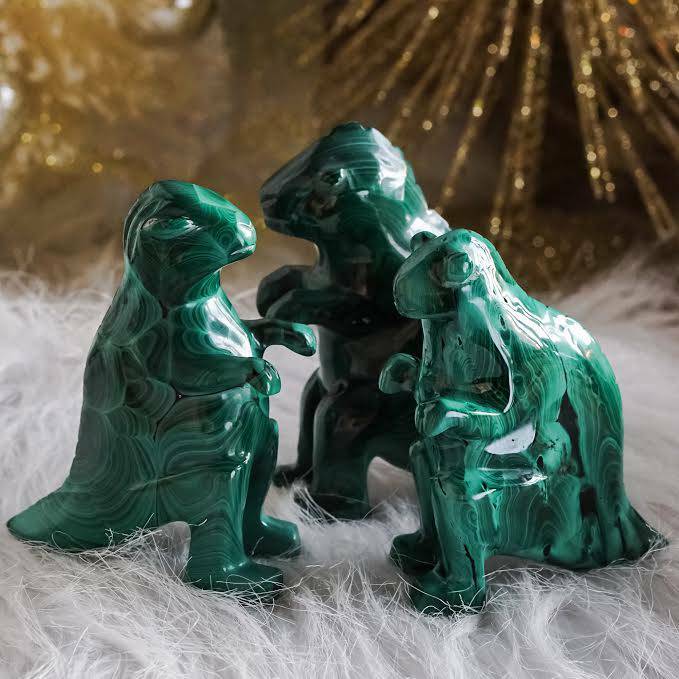 Use these precious shells to house your smudge bundles, gemstones, and herbs – or to simply infuse your altar with the nurturing magic of the Water element. We will intuitively select from our lot of scallop and abalone shells the perfect shell that is meant for you! One (1) tumbled rose quartz centerpiece, about 1” in size. Rose quartz is the stone of true love and deep affection; it represents the bond that transcends time and space. Rose quartz is a stone of universal love energy – love for self and others. It draws love to the bearer, brings peace during transition, and eases heartache. Three (3) rainbow hematite spears, about 0.25-0.5” in size. Rainbow hematite contains the full spectrum of the rainbow, empowering it to assist in aligning all seven chakras. It is a stone of union between Spirit and the physical world. A healing gemstone, rainbow hematite dissolves low vibrations, increases energy, and keeps you free of stress. Rainbow hematite is considered a channeling stone as it activates the Root and Crown Chakras, bringing the body into full alignment. Three (3) clear quartz points, about .75” in size. Clear quartz points are used for magnification, intensification, sealing of intentions, gridding of altar or sacred spaces, and holding sacred space. They can be used with other gemstones to amplify the properties of those stones. Clear quartz is associated with the 8th, or Soul Star Chakra, connecting you closer to spirit. Three (3) tumbled pieces of dream amethyst, each about 0.5” in size. A stone of the Third Eye Chakra, dream amethyst enhances intuition and clears the aura. It creates a protective bubble around you, wrapping you in a shield to ward off psychic attacks and any negative energies. It also mitigates your resistance to change, helping you to grow spiritually, mentally, and emotionally. Three (3) pieces of tumbled ocean jasper, each about 1” in size. 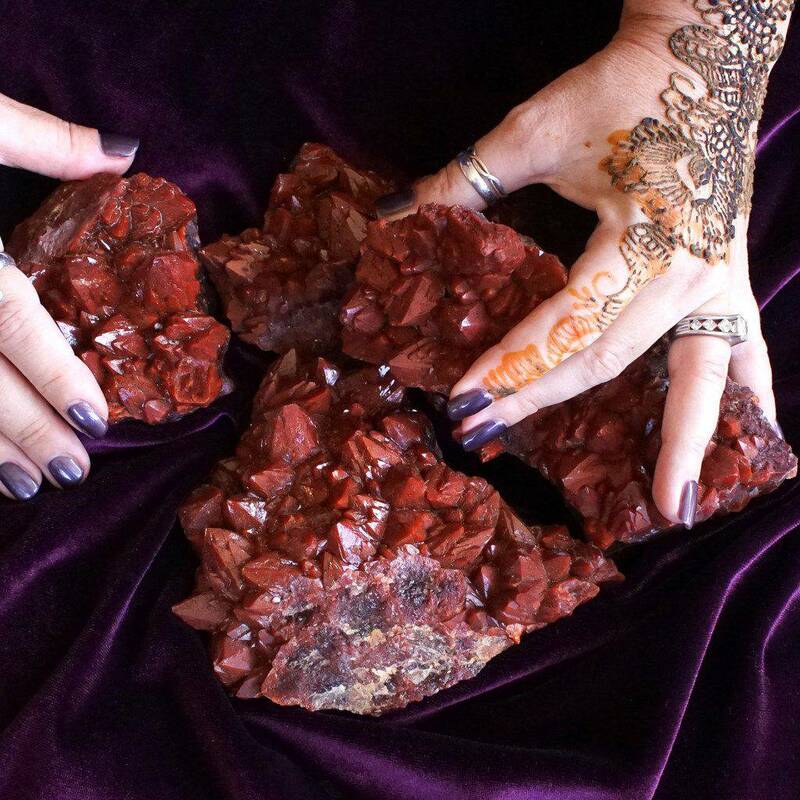 The happiness stone, ocean jasper is a stone of joy and high spirits. It lifts the mood helping its beholder to be more aware and present to the beauty of life. 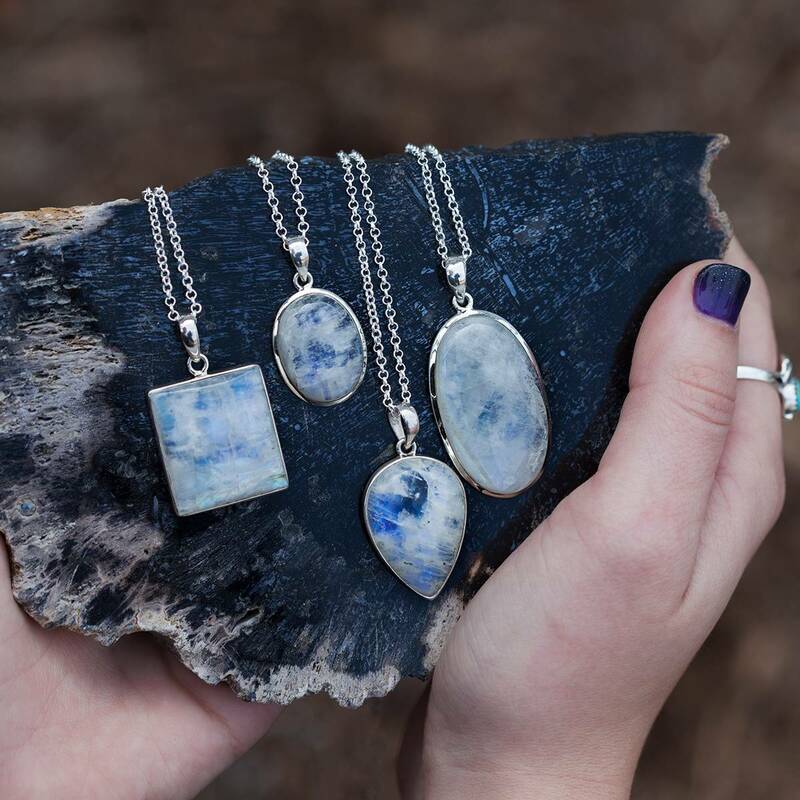 With ocean jasper, we are encouraged to loosen up and not take ourselves — and circumstances — too seriously. It helps one to relax, creating space to have a good time. Note: Please always burn your candle on a heatproof stable surface, and never leave a burning candle unattended. This listing is for one (1) Goddess on the Go Travel Bag and Crystal Grid, as listed above. Yours will arrive lovingly parceled along with a single leaf of white sage and a parchment describing the properties of the stones.